Love the Ukulele? Your Day is Here! There’s just something about the sweet sound of an ukulele that says, “Hawaii.” Maybe it’s the humble strum of the strings. Maybe it’s the simple, but meaningful chords. Maybe it’s the cool voice that usually accompanies the melody. Whatever it is, many people consider ukuleles to be the backbone of Hawaiian music, and, this weekend, this important instrument is front-and-center for all to enjoy. 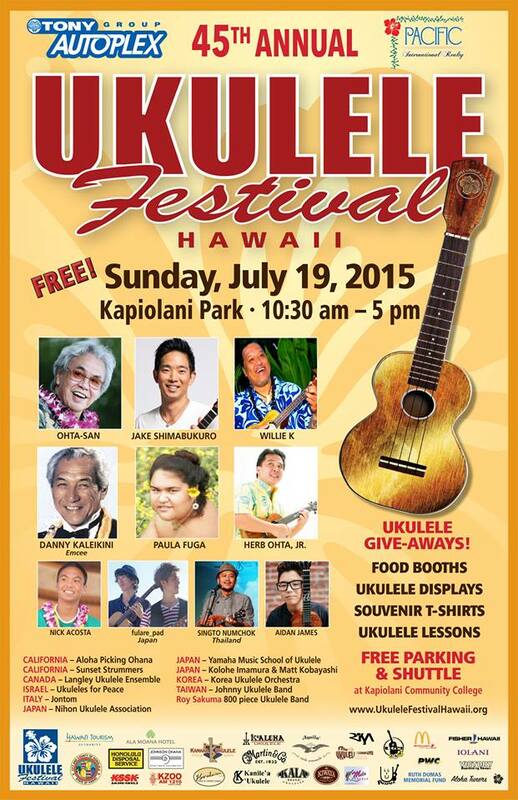 On July 19th, the 45th Annual Ukulele Festival is coming to Kapiolani Park on Oahu. Ukulele Festival hours are from 10:30 a.m. to 5:00 p.m. And, guess what, admission is free! The all-day event includes entertainment by ukulele virtuosos, internationally known musicians, and talented ukulele players from around the world. The line-up also includes a ukulele orchestra made up of more than 800 students, mostly children. Food vendors will be available, and several ukulele booths will be set-up if you’d like to purchase your own instrument. Shuttle service will begin at 7:30am departing from Kapiolani Community College parking lot to the Ukulele Festival. The shuttle service will continue to and from the Ukulele Festival and will terminate by 5:45 pm at Kapiolani Community College. The bus baggage compartments may be used to place bulky items such as strollers, lawn chairs, small boxes and coolers. The 45th Annual Ukulele Festival features local artists and those from around the world. Today, the annual Ukulele Festival at Kapiolani Park Bandstand in Waikiki is now a summer tradition in Hawaii. It has grown internationally and is by far the largest ukulele festival of its kind in the world, with crowds of thousands attending. In response to popular demand and the ukulele renaissance in Hawaii and throughout the world, Ukulele Festival Hawaii, with the support of sponsors, has taken the ukulele festivals on the road to the islands of Hawaii (Waikoloa), Kauai and Maui. Grammy Award-winning national pop artist James Ingram has been a frequent guest at the ukulele festival since 1994 when he and Roy met by chance while exercising on the tracks of the University of Hawaii. 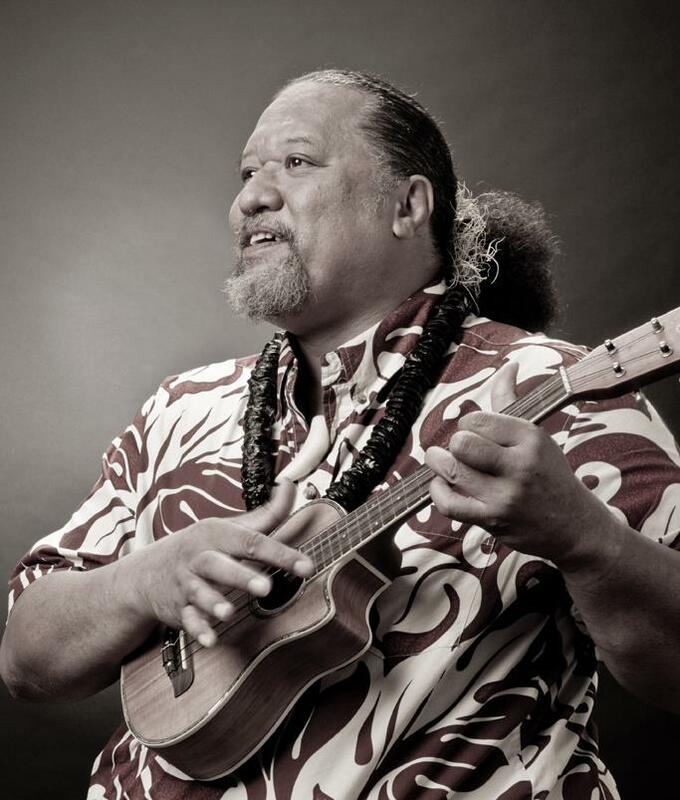 Willie-K is one of the most popular artists in Hawaii, and he will perform at the 45th Annual Ukulele Festival. To view biographies of some of the performers, click here. So, grab your blanket, your family, and your spot on the lawn, so you can enjoy a day full of ukulele!